Yesterday I had the privilege of attending a 16th birthday party with a difference. For a start the venue for the birthday party was impressive – the Terrace overlooking the Thames at the Houses of Parliament no less! More importantly, the party wasn’t for a person, but for a special type of investment – the Child Trust Fund. Child Trust Funds were launched by the Labour government in 2005 but anyone born after 1 September 2002 was eligible, so from Saturday 1 September the recipients of the child trust fund began to come of age. This means in two years’ time, they’ll be able to withdraw the money. The idea behind the child trust fund was to make sure every child arrived at adulthood with a nest egg, no matter what their background. 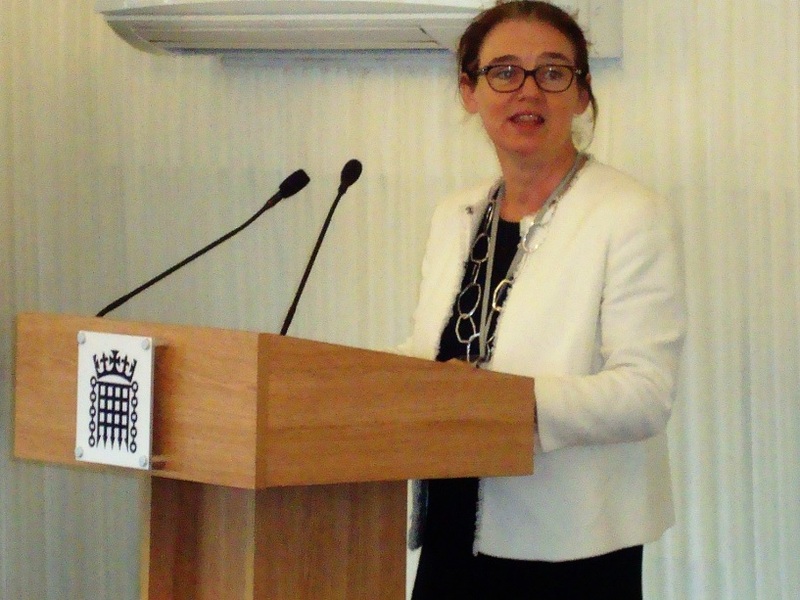 Ruth Kelly, pictured here speaking about the fund at yesterday’s reception at the House of Commons, was the Government minister at the time with responsibility for the Child Trust Fund. Every child received a £250 voucher from the government and children from lower income families received more both at the start and again at age seven when another government investment was made. Sadly, the scheme was too expensive to run and child trust funds were phased out to new members in 2011 by the coalition government – the scheme never, in any case, had the support of the Liberal Democrats who were of course part of the coalition. Scottish Friendly was a key supporter of the Child Trust Fund from the outset. The Child Trust Fund would give all children a good start in adult life, no matter what their background and it’s a pity that only children born over a particular 10-year period will benefit from this. If anything, income inequality has gotten worse in recent years as Ruth Kelly highlighted yesterday. Child Trust Funds were replaced by Junior ISAs but these offer no government incentive. There are just over six million Child Trust Funds accounts worth an estimated £10 billion. Even if only the vouchers were invested and not topped up by parents, they could still be worth more than £1,000, thanks to stock market investment returns. Child Trust Funds of lower income families, which received more from the government, could be worth £2,000 – giving these children a relatively good start to their adult life. So for most of today’s sixteen year olds, it looks like their birthday will be especially sweet. But there’s a rub. It’s estimated there are around 700,000 dormant child trust funds – most likely because families have moved house but not informed their provider of their new address. It’s really important that children are united with their rightful child trust fund money. If parents can’t remember which provider has their child’s child trust fund, they should visit www.gov.uk/child-trust-funds.